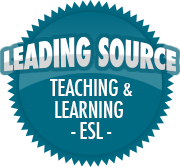 Building Relationships by Showing that You Care | So, You Think You Can Teach ESL? I work with pre-service teachers. I’m working with three groups right now. One group just started the program and they are eager to begin their journey of learning and teaching. They will have their first classroom field experiences in a couple of weeks. A second group is preparing for their second field experience, and the third group begins student teaching Monday! I’m excited for all of them. Have you heard of Time to Teach classroom management strategies? Please go to their website and learn more. Inexperienced teachers totally need this type of training to know how to handle challenging students.